The transfer window is getting heated up with Premier League clubs sanctioning deals before the August 9 deadline. 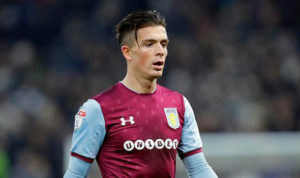 One player highly sought after is Jack Grealish, the Aston Villa ace has been rumoured to be on his way out of the club due to the club’s financial difficulties. Tottenham had been thought to be his destination. However, latest news from English tabloid the Sun claims that Chelsea have entered the mix for the 22-year-old midfielder. Grealish had an impressive campaign for Villa last season as he led the club to the Championship play-off final. The midfielder finally came of age and showed consistency with impressive performances during the course of last season. This is not be the first time that Chelsea would hijack a player from Tottenham grasp as in January Barkley was close to a medical with Spurs only to appear in a Blues shirt days later. Grealish is a good signing but it is hard to see him breaking into the first team as the Blues have Bakayoko, Fabregas, Barkley. Kante, Drinkwater, Jorginho battling for just three positions.